When the temperatures are soaring and I am sweating and miserable from the heat, I still want to wear my makeup. My makeup is like a second skin for me and I feel naked without it. I want a product that will cover up my imperfections, yet is breathable and will allow my summer tan to show. The problem is, most foundations that I have tried just melt right off of my face when the weather is hot. Plus, when I apply sunscreen and moisturizer under my foundation, my skin becomes become shiny and greasy. Thankfully I have discovered products from Miracle Skin Transformer & Hydroxatone that allow me the luxury of a full coverage foundation, anti-aging benefits, plus built in sunscreen! 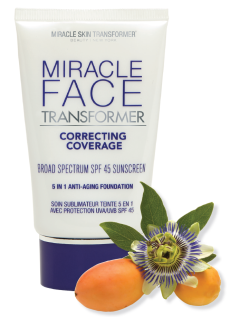 Miracle FACE Transformer Correcting Coverage SPF 45 blends easily and is buildable for a customized look. Designed to hydrate, protect, firm, contour & smooth skin in a single, simple step, this complexion corrector provides your skin with an anti-oxidant rich, moisture boost while it conceals imperfections, diminishing the appearance of pores, uneven tone and discoloration. More than just minimizing fine lines, it enhances volume restoring the look of natural facial contours, leaving a radiant, quenched finish with full yet natural coverage. 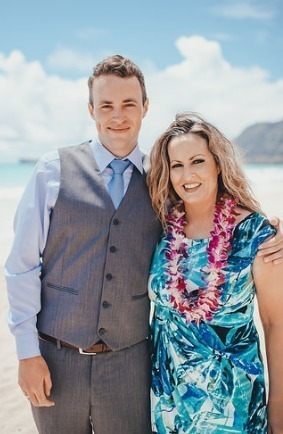 I was recently in Hawaii for my son's wedding. I wore Miracle FACE Transformer Correcting Coverage SPF 45 all day, every day while I was out in the sun. I applied this amazing product to my face, neck and chest area. Not only did I look flawless all day, but my skin was being protected from the sun's harsh rays. Miracle FACE Transformer Correcting Coverage SPF 45 stayed on even after I swam in the ocean. I was amazed. I did not get sunburned at all, yet some of my family members did get sunburned pretty badly even after using regular sunscreen that had an SPF 50. 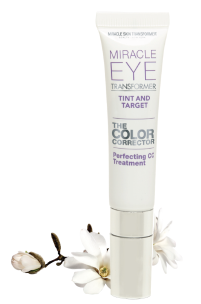 Miracle Eye Transformer Tint and Target delivers more than meets the eye. A perfecting color correcting eye treatment, it instantly blurs and brightens the eye area with a veil of gossamer pigment that counter the skin undertones that can result in sallowness and dark circles while it visibly reduces fine lines, wrinkles, eye bags and puffiness. I love this product! I lost a lot of sleep on my vacation because we all got up early and went to bed late after a day of fun adventures. My eyes were getting huge circles under them. Many photos were taken on this trip and there are none of me in which you can see the circles under my eyes thanks to Miracle Eye Transformer Tint and Target. It is also very moisturizing and stays supple all day long. Skin Perfecting Air Cushion Compact BB Cream SPF 40 is a liquid foundation meets the latest technology; An ultra-light weight, luxurious liquid foundation is enveloped in a breakthrough cushion. 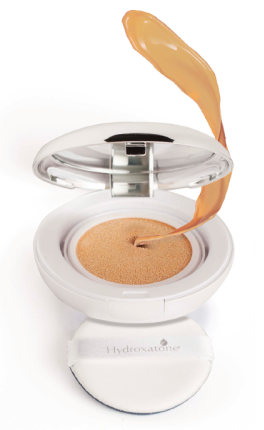 It delivers the perfect application, with beautifully blendable and truly customizable coverage. A fresh natural, dewy finish and feel. Smooths lines and wrinkles, evens skin tone, delivers brighter, and more radiant skin, while providing broad spectrum protection. I used Skin Perfecting Air Cushion Compact BB Cream SPF 40 on the day of my son's wedding. I knew that we would be standing on the beach in the sun. I knew I would need a good sunscreen, but again, I did not want to apply a sunscreen in addition to my makeup and look all greasy and shiny for photos. I also knew I might need to touch-up my makeup because of tears *sniff* and would also want to freshen up for family photos. The Skin Perfecting Air Cushion Compact BB Cream SPF 40 certainly came in handy in its lovely little compact which included a nice blending sponge, plus a mirror! I love this product because it gives me full-coverage, but also allows my tan to show through. It kept my skin looking matte and gorgeous, and best of all, it kept me from getting a sunburn on my face, neck and chest. Enter to win! Three winners will recieve a Miracle Face Transformer Correcting Coverage SPF 45 and Miracle Eye Transformer Tint and Target in the shade of their choice ARV: $82 each. I try to always wear 50, thank you so much for the offer! I prefer the highest SPF I can find. 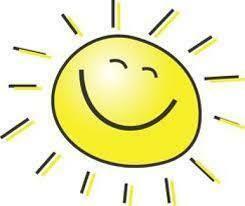 I take medication that makes my skin very sensitive to the sun, even if I'm wearing very high SPF sunscreen. I always wear the highest I can find but I've learned to avoid the sun or at least to protect myself with a hat, sitting in the shade (I know you can burn in the shade though too), covering up. It's a bummer but I've had blistering burns and those are worse. Yes I wear sunscreen. Usually SPF 30 or higher. I always wear sunscreen. I prefer SPF 30. I sometimes forget to apply sunscreen when I go out. But more times than not I do apply it. I prefer SPF 50. I use SPF 50 most of the time. I ussually use Spf 30. I always use sun screen and recently changed from an SPF 35 to an SPF 50. Yes I do - I wear at least 30. I rarely wear sunscreen, I get by with what's in bb cream if I even bother with that. Time to turn over a new leaf! Yes, I wear sunscreen. Usually SPF 30 or higher. Yes, I do and I wear SPF 50. I try to remember to protect my skin. I look for an SPF of 20 or more. I usually wear a 30 in my makeup.